Lisbon Maine: If He Lied About This What Else has he Knowingly Lied About? If He Lied About This What Else has he Knowingly Lied About? By JONATHAN MAHLER, RAVI SOMAIYA and EMILY STEELFEB. 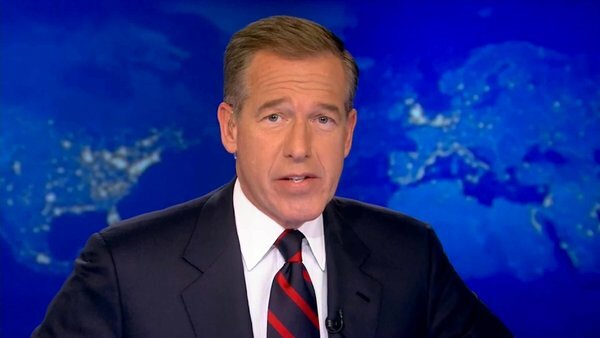 Brian Williams apologizing Wednesday on “NBC Nightly News” for claiming he had been on a military helicopter that was forced down after being hit by enemy fire in Iraq in 2003. For years, Brian Williams had been telling a story that wasn’t true. On Wednesday night, he took to his anchor chair on “NBC Nightly News” toapologize for misleading the public. Scenes from a 2003 NBC report by Mr. Williams included a Chinook copter on the mission carrying a part for a bridge, a soldier on one of the helicopters and the Chinook that took rocket fire. In his 2003 report, Mr. Williams did not say that he had been on the helicopter that was hit by rocket fire. It’s unclear at this point whether Mr. Williams will feel compelled to speak again to the issue. What is clear is that the trustworthiness of one of America’s best-known and most revered TV journalists has been damaged, and that the moral authority of the nightly network news anchor, already diminished in the modern media era, has been dealt another blow. Mr. Williams first reported on the episode when it happened in 2003, though the current controversy erupted last week after he spoke about it on air during a tribute to a retired soldier. Some veterans took to Facebook to complain, and a reporter at the military newspaper Stars and Stripes picked up the thread. In fact, some of the soldiers present in Iraq that day had been quietly fuming about Mr. Williams’s reporting for years, and had even tried to alert the news media to it earlier. Joe Summerlin, who was on the helicopter that was forced down, said in an interview that he and some of his fellow crew watched Mr. Williams’s initial story and were angered by his characterization of the events.